WHEN IT launched in 1975, Savannah State University’s radio station, WHCJ-FM, broadcast at only 10 watts, just strong enough to cover SSU’s campus on the city’s eastern reaches. Forty-two years and several upgrades later, the station’s 6,000 watts cover all of Chatham County and parts of adjoining counties at 90.3 FM, but its basic mission remains the same: playing a mix of musical genres rare on most of the radio dial, including gospel, jazz, blues, reggae, Hip Hop, African and Latin music, alternative soul, and a smattering of talk shows—but no fast-talking car advertisements. “We’re a non-commercial, educational station,” explains Grace Curry, who became permanent station director last October following a stint as interim director upon the retirement of Theron “Ike” Carter, who ran the station for more than 20 years (and whose recorded jazz and blues shows are still being aired). “We have an important role to play: to make sure no one forgets about these important American [musical] art forms,” says Curry, an M.B.A. graduate of Savannah State who’s been hosting an alternative soul show for WHCJ since 2002. “Lady Grace,” as she is known on the air, agrees that the term “alternative soul” resists easy definition, combining as it does elements of jazz, R & B, and whatever other influences an artist may choose to access. Her show, “Alternative Soul Cafe”—airing 11 a.m. to 3 p.m. Sundays and 1-4 p.m. Wednesdays, with a rebroadcast of Wednesday’s show 5-8 p.m. Mondays—also brings in spoken word recordings as well as “conscious, thought-provoking” Hip Hop and Rock Soul, as the station website puts it. 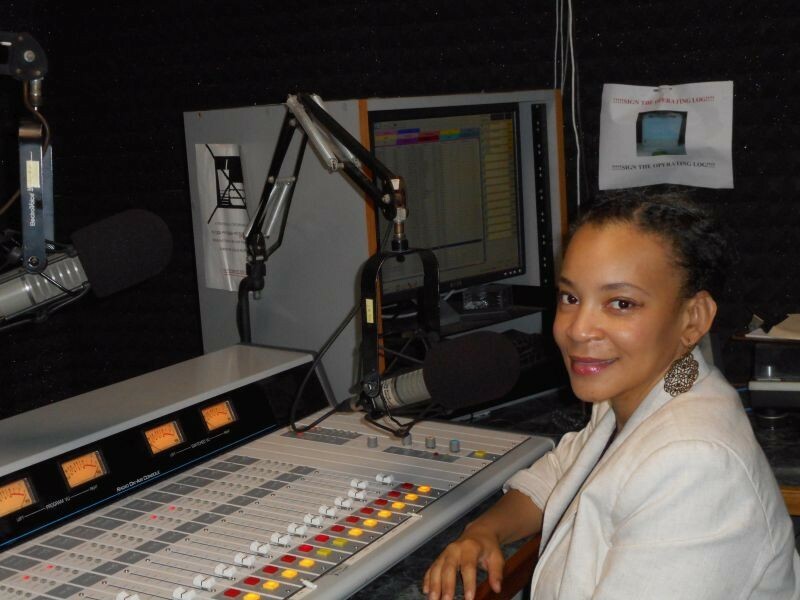 Curry, WHCJ’s only paid employee, relies on dedicated volunteer dee-jays and technicians, both students and non-students, to keep programming on the air 24/7 (barring the occasional technical difficulty that she gets fixed as soon as possible). Will Martin, who now works as Savannah State’s program director for journalism and mass communications, has served as a volunteer dee-jay since he was a sophomore at the university in 2000. Love of the music has kept some volunteer dee-jays coming back for more than 20 years. Larry Dane-Kellogg has been airing jazz at the station since 1990. His current mainstream jazz show, called “Jasscapades,” airs 6-8 p.m. Wednesdays. The station record for on-air longevity may be held by reggae host Ras Hanif, who dates his WHCJ debut to 1983. His current show, “Black Star Liner,” airs 8-10 p.m. Mondays, Wednesdays and 8-midnight Saturdays. Even in an age of Pandora algorithms and syndicated robo-jocks in distant cities, Curry sees a continuing role for living, breathing broadcasters coming to listeners live from just up the street. The station, funded by the university, has seen its budget holding steady in recent years (unlike some college stations that have been cut back). But, technologically speaking, Curry would like to upgrade the station’s signal from analog to digital high-definition, an equipment investment that she says will cost just over $130,000 and improve sound quality. A fund drive may be in the cards. The station has expanded its floorspace over the years and now occupies all of Hodge Hall. Along with hundreds of compact disks and even a good collection of vinyl LPs, WHCJ boasts five studios, including one for the low-power, campus-only WSSU-FM for training students for a career in broadcasting. “I’ve always been a talker—I like to get conversations going,” notes Simone Brown, WSSU’s student director and host of several of its shows. Brown aspires to become a professional on-air personality and one day own a station after she graduates from Savannah State in December 2018. Nicole Wiggins, who graduated last year with a B.A. in mass communications and a minor in history, looks back fondly on her four years as a student hosting talk and oldies music shows. Some students may come in timid, Curry says, but they gain confidence by hearing themselves on the air as well as by learning their way around those big control consoles, covered with lights, buttons and switches, that are found inside a broadcast studio. “That’s one of the best things about working here—seeing the students blossom,” she says.